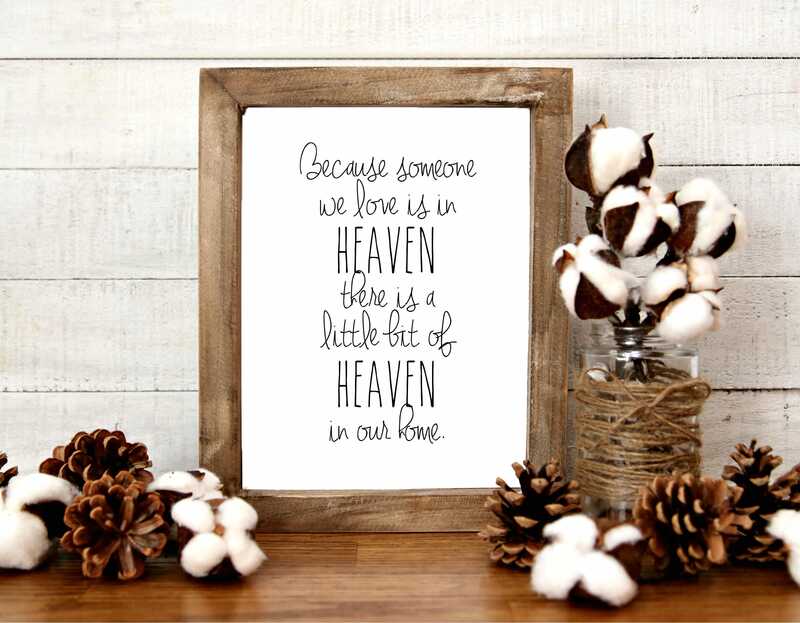 This pretty black and white print features the quote, "Because someone we love is in Heaven, there is a little bit of Heaven in our home". This is a great gift for those who recently lost a loved one. Can you make a sign “welcome to our beautiful chaos”? Perfect! Exactly what I was looking for to commemorate my mother in law. Thank you! Got a little creative! This is exactly what I wanted! So happy. Not worth the price. I could have made this myself.